Bolivia – At least 10 thousand hectares of banana plantations were flooded in the Cochabamba tropic, causing millions in losses to the community and producers. More than 7 500 families were affected by the floods. 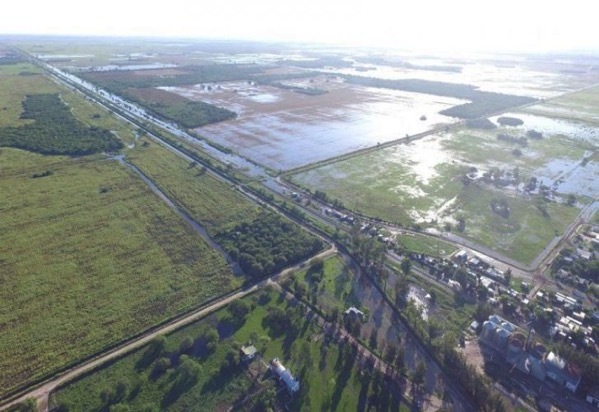 Argentina – Intense rainfall in Northeast Argentina has caused devastating floods, amplifying the economic burdens of the country’s record inflation. About 3,500 people have evacuated the region, and millions of hectares of crops have been sent underwater. The flooded region, which extends into Paraguay, Uruguay and Brazil, has received about five times more rain than expected since the beginning of the year. Some areas received a whole year’s worth of rainfall in the first 15 days of the calendar year. 2.4 million hectares of soybeans are flooded. The greatest losses come from the Pampa Húmeda region, one of the main food producers in the world. Other crops like corn and cotton, along with livestock have been wiped out across the Northeast. Just last year, Argentina was plagued with severe drought, the worst that had hit the country in half a century. This drought crushed the country’s agricultural sector and strained the country’s economy. It’s blamed in part for the current run on Argentine currency. California, USA – Heavy rain, snow and wind pummeled much of California Thursday, causing at least five deaths, leaving thousands without power and forcing wildfire victims threatened by floods to flee their homes. Southern California authorities concerned with rising streams and excessive runoff ordered evacuations in parts of Malibu and other areas scarred by wildfires. Malibu schools canceled classes. In harder hit Northern California, authorities warned of imminent floods and debris flows in the wildfire-ravished city of Paradise and the surrounding region denuded of protective trees and vegetation, telling residents to prepare to flee their homes on a moment’s notice. The week’s hottest temperature was 118 degrees Fahrenheit (47.8 degrees Celsius) in Port Augusta, South Australia. The week’s coldest temperature was minus 70.0 degrees Fahrenheit (minus 56.7 degrees Celsius) at Olenek, Siberia. From 4 October 2018 to 7 January 2019, 19 539 measles cases and 39 “facility-based” deaths have been reported by the Ministry of Public Health (MoH) of Madagascar. Cases were reported from 66 of 114 total districts in all 22 regions of Madagascar. The Algerian Interior Ministry has classified the outbreak as a “major danger” after it spread to 28 states and killed thousands of livestock, causing markets to shut down for fear of selling infected meat. The crisis has been aggravated by the fact that livestock owners are still waiting for vaccines, which have been delayed until the end of the month.